James graduated Nottingham University with business management and marketing degree. 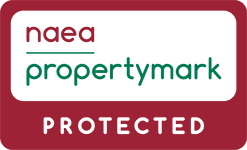 He progressed to Estate Agency and has worked in the industry for over eleven years. 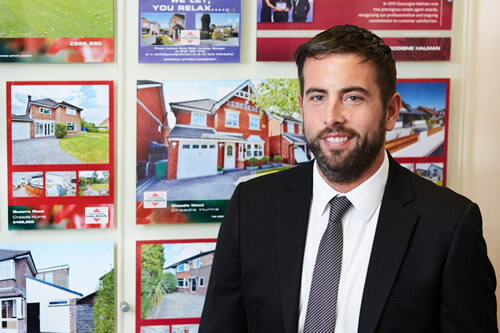 He ran a successful team both in Wilmslow and Cheadle offices and has brought to Didsbury his expertise in selling and marketing in a busy fast-paced environment. He is joined in Didsbury by an enthusiastic team, made up of Kate Forrest, Andrea Partridge, James Thornley and Charlotte Kelly. Between them they have an unrivalled level of local knowledge. 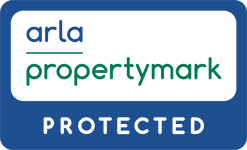 I have worked in the lettings industry for 12 years and worked mostly in the South Manchester area but also in Manchester city centre. 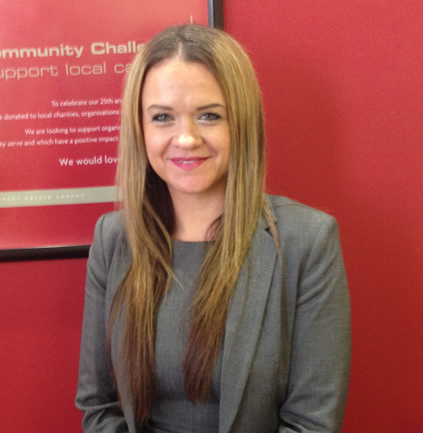 I have worked as a branch manager and also manager of the property management team overseeing 800 properties. I have a great passion for lettings and I am really excited to be part of the team at Gascoigne Halman and look forward to the new challenge ahead. 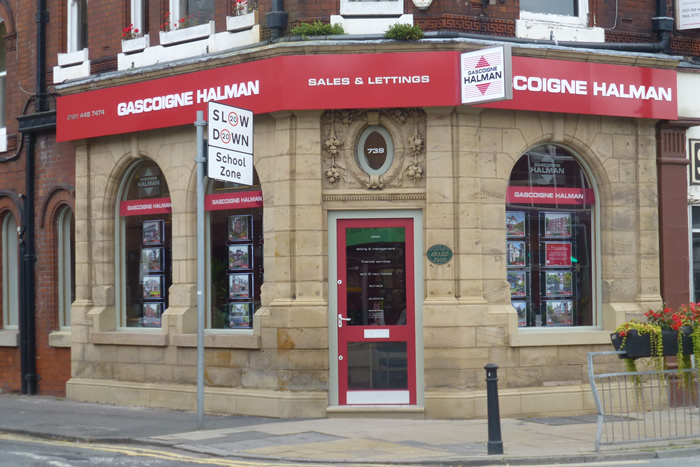 The areas we cover are such popular places for families and young professionals alike and lettings is a thriving industry at the moment and I am enthusiastic to continue the great customer service Gascoigne Halman have always provided. 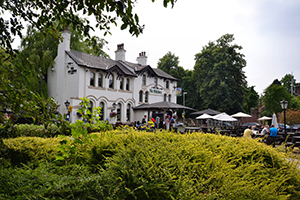 Halfway between town and country, Didsbury living offers that rare combination of being within easy reach of Manchester City Centre, yet at the same time within touching distance of the numerous picturesque parks or countryside walks along the River Mersey. The town has historic architecture and modern entertainment facilities, as well as an alternative, bohemian area. The parish church, St Oswald’s, dates from the 17th century and stands on a site dating from the 13th century. Didsbury marked the finishing line for the 1910 London to Manchester air race, which heralded the first plane ever to land in Manchester from outside the city. Since then, transport links have improved somewhat, and this vibrant, bustling village has become a magnet for commuters, with its convenient location so close to Manchester city centre and the major motorway networks. Manchester International Airport is just fifteen minutes away, and Manchester city centre just a short train journey from the village. Exciting transport developments in the area will soon see Didsbury connected to Manchester, Salford and Trafford through the fantastic Metrolink system. Schooling is always a major concern for family buyers, and Didsbury does not disappoint on this front, with outstanding Ofsted reviews in place for many of the nearby primary and secondary schools. Parrs Wood High School is the local state school, and nearby private schools Stockport Grammar School and Cheadle Hulme School are extremely successful. Students from Didsbury also travel to Altrincham and Sale in Trafford to attend the outstanding state grammar schools in the area. Didsbury is equipped with a modern entertainment complex at Parrs Wood, including a cinema, bowling alley, leisure centre and restaurant area. 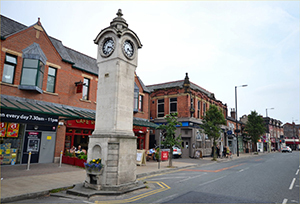 Didsbury village retains a more bohemian feel, with its many independent boutiques, cafe bars, pubs and restaurants mixed in with a number of the national retailers. Additionally, the village is renowned for its many festivals, offering a great bond between the local community with a variety of events ranging from Summer Fairs, Historic Building Tours, Art and even a Beer Festival. Choices of housing are as diverse as the residents, and range from wide tree-lined Victorian avenues to cutting edge contemporary apartment developments. Appealing rows of period homes can be found clustered around the main village and stretching into the fashionable West Didsbury village. We challenge anybody not to fall for the charm of the village, after experiencing the array of shops, scenic walks through Fletcher Moss Park or Didsbury Park and enjoying the ease of the commute to Manchester City Centre.